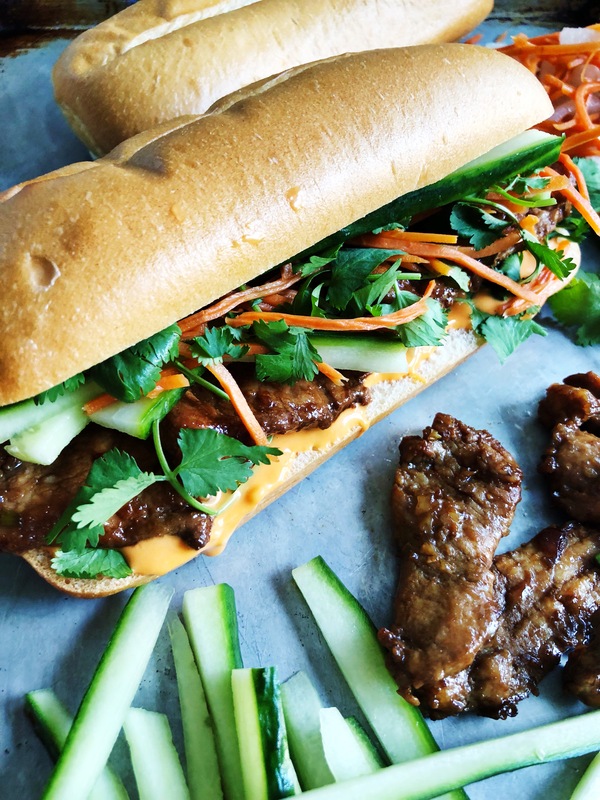 The Bahn Mi is pretty much the perfect sandwich – when done correctly. 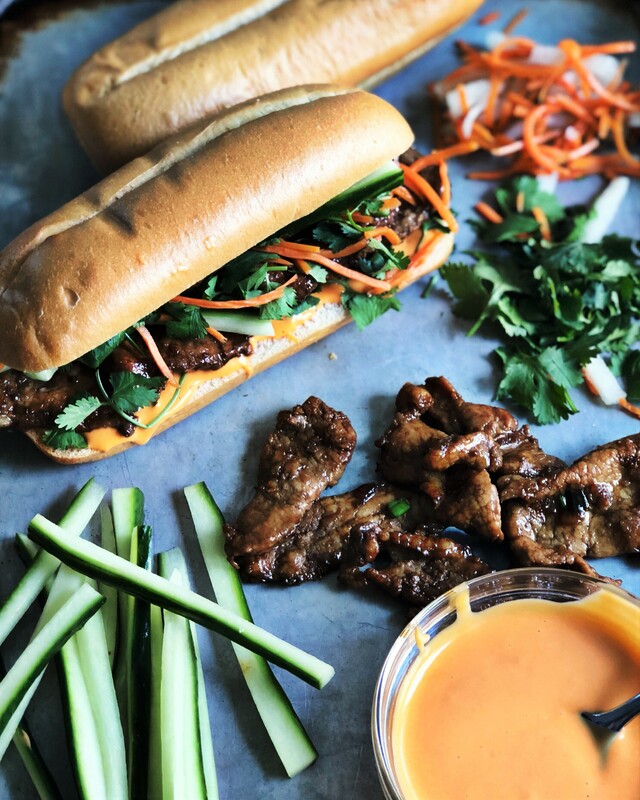 A really well seasoned meat, thick chewy baguette, fresh herbs and veggies, that bite of pickled veggies, and a creamy but spicy sriracha mayo. YUM! 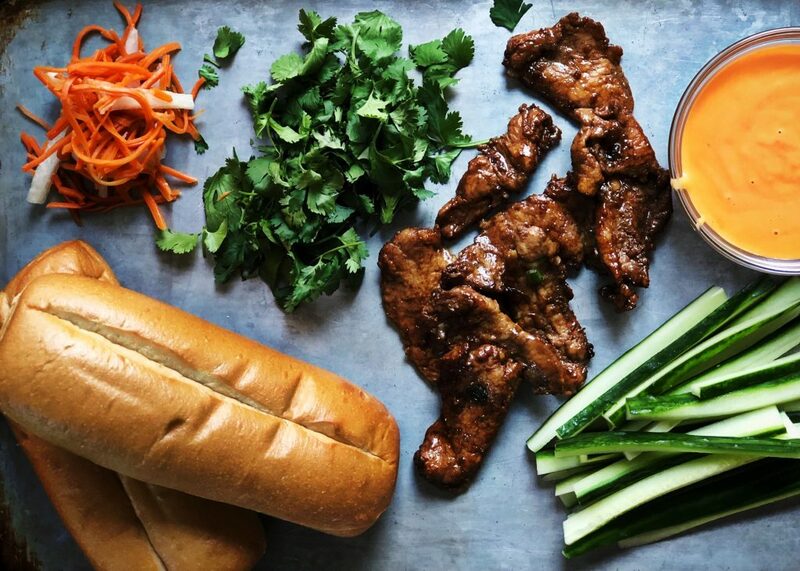 I’ve been thinking about making this Seared Pork Bahn Mi for a long time. I was worried though because 1) you can easily get a great Bahn Mi for a only a couple dollars from so many great little Vietnamese restaurants, 2) it’s a complex process for a sandwich, and 3) I didn’t know if I could pull it off like some of the great Vietnamese restaurants I’ve tried it from. 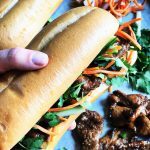 When I became interested in making this Seared Pork Bahn Mi, I started scouring the internet for recipes. In my experience, I’ve tried Pork Bahn Mi several different ways: 1) Pork Belly. Too much fat (IMO). 2) Pork meatballs. Don’t love the texture. 3) Shaved / thin sliced pork. This tastes the best to me. I like how the meat gets so much flavor when it’s sliced, and it cooks really nicely this way. Lots of seared edges. Not to mention it takes on the marinade well. I found a couple recipes that had great marinades but they marinated the whole pork roast at once. I wanted to marinate the pieces individually, already sliced, so they’d take on a lot of flavor. I found an awesome marinade, sliced up my pork roast, and marinated it in the fridge for 5 hours. Then I put a couple tablespoons of oil in a large enameled pot, and seared the pork in batches. 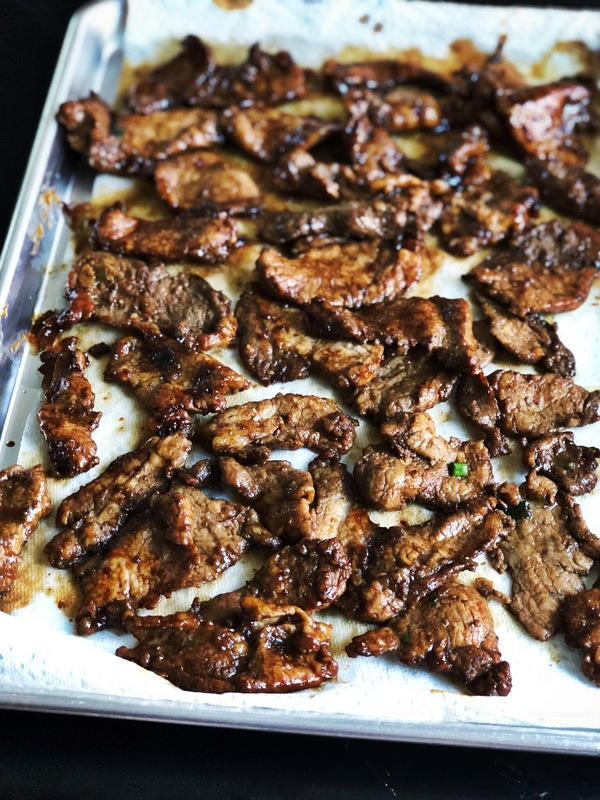 Once each batch was done, I removed the meat with tongs and placed on a baking sheet with paper towels to blot out the oil. What was interesting about cooking it this way, there was so much marinade in each piece of pork. It wasn’t just cooking in oil, but in all the sauce too. This meat is amazing. You can buy pickled daikon and carrots or make it yourself. If you make it, you'll want to do this the day before or early in the morning the day of making the sandwiches. It tastes best chilled. To make, boil water with sugar and vinegar. Let boil for 3 minutes to dissolve sugar, then remove from heat. Place sliced veggies into a large mason jar. Once boiled mixture has cooled slightly, pour over veggies in jar. Then close lid tightly and place in fridge for 6-8 hours, or longer. Whisk mayo ingredients together and place in fridge before you make sandwiches. Mayo will taste best when chilled. Adjust levels of sriracha according to how spicy you like it. I think it tastes best with a bit of spice! Leave in fridge until you're ready to assemble sandwiches. Before prepping meat, mix marinade ingredients. Mix all marinade ingredients except vegetable/canola oil. Set aside. Start slicing pork roast. 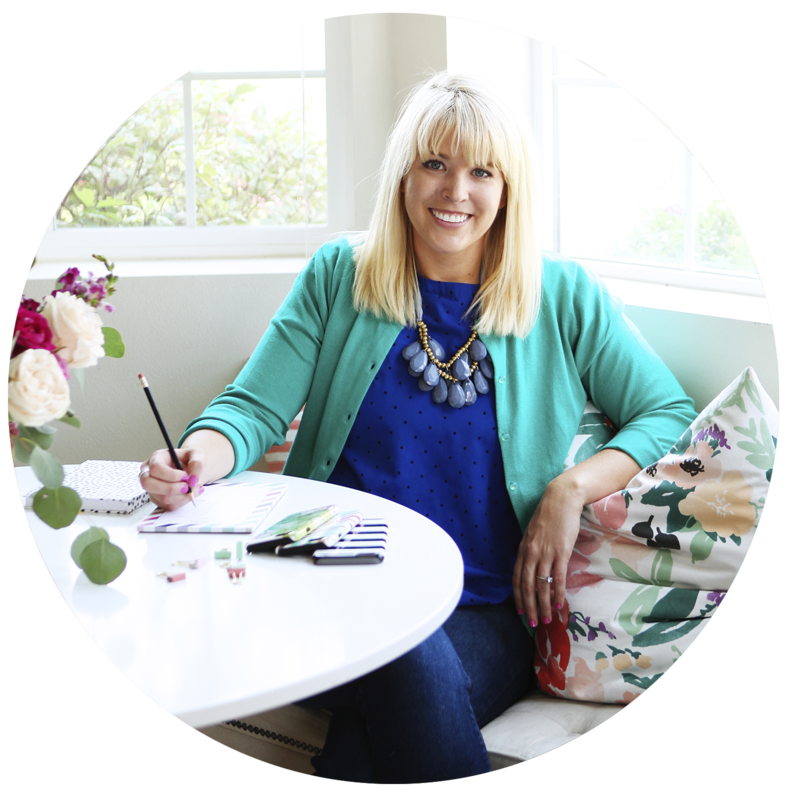 Be sure to use a serrated knife so you can get it pretty thin. You want it about 1/4 inch thick. (Not so thin it's falling apart, but not so thick that it will get tough when it cooks.) The pieces will cook down a bit, so make them a little longer and wider than you'd want on a sandwich. Place sliced pork into a heavy duty ziploc bag. Pour marinade on top. Place in fridge for 4-6 hours. Once meat has marinated, remove from fridge. Set out a large pot (I used an enameled dutch oven) and pour about 3 tbsp. of vegetable or canola oil on bottom of pan (enough to cover the bottom about 1/4 inch, depending on your size of pot). Turn heat up to medium high to heat oil. Meanwhile, lay out a large baking sheet lined with paper towels. This will be a great place to set your meat after each batch has cooked in the oil. Once oil has heated, remove pieces of pork one-by-one with tongs from ziploc bag and slowly place into oil (you want oil to sizzle when you place meat in, but if it pops too much, turn heat slightly down). Flip meat over to cook both sides evenly. Once edges start to brown, remove from pot with tongs and set on paper towel lined baking sheet. Sear meat in batches until it's all cooked. Let rest on baking sheet while you assemble the other sandwich ingredients. Start assembly by slicing baguettes or french rolls. Spread mayo on bottom side of roll. Place several slices of meat over mayo, then layer with a handful of pickled veggies, fresh cucumbers, and fresh cilantro. Then, savor every bite! 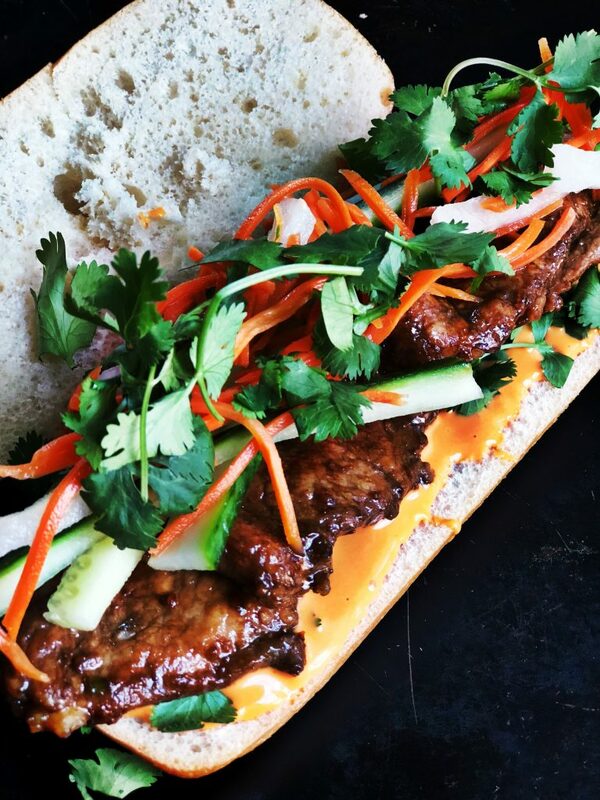 I can’t wait for you to try this Seared Pork Bahn Mi! 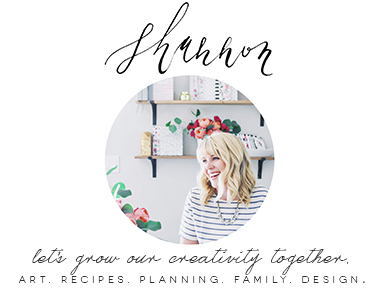 Click here to see my other main dish recipes and tag me with photos if you make this @plumstreetcollective on Instagram. Thanks for reading!